I have lived, grown up and raised a family in Stanthorpe with my husband Aaron. Growing up I enjoyed playing netball and squash, and my daughters are now also keen netballers. 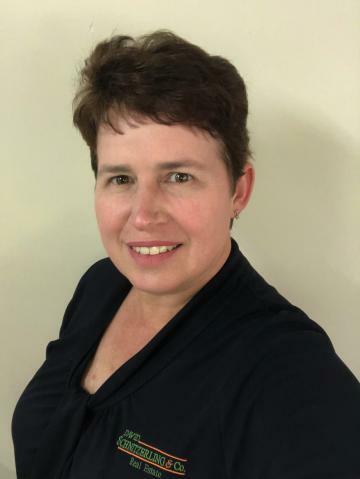 I have been actively involved in the Stanthorpe Netball Association as secretary for a term of 6 years and my husband and I are also keen archers, instrumental in re-establishing an archery club in the Granite Belt District. My working career started at age 16 where I worked in local government for 14 years, followed by an administration position with a local transport company for 8 years before joining the team at David Schnitzerling & Co in 2013. I have worked in administration, property management and sales during my time with David Schnitzerling & Co. Having lived in the Granite Belt for all of my life I have gained a large amount of local knowledge. I love everything about the Granite Belt, especially the four distinct seasons. We have a lot of great tourist attractions, plenty of great schools and lovely seasonal produce. The Granite Belt is a great place to raise a family, establish a personal retreat or to make a great tree change! 66 Amosfield Road Stanthorpe an appealing cavity brick home only metres from Golf and Bowls club plus Mt Marlay walking and cycling trails, a short drive to Stanthorpe CBD parks, Sporting fields and RSL. The outdoor entertainment area is covered and paved and half of the area can double up as a carport. A lock up garage work shed are detached from the house and are ideal for the handyman. Owner is ready to move on let this property be your new chapter. On attractive and private 5 acres of natural trees and shrubs - minutes to Stanthorpe's shops, schools etc - the main low set timber residence features 4 bedrooms, main with air cond, ceiling fan and large ensuite, combined lounge dining with wood heater, ceiling fans and reverse cycle air cond, good size family kitchen with heaps of cupboards, generous size family bathroom, sep toilet. Beautifully presented brick home - REDUCED! REDUCED TO $275,000 - genuine seller has moving plans and has priced this immaculately kept property to sell! Ideal low set brick home situated in Pike Street, an easy stroll to schools and town CBD. Close to Mt Marlay walking paths and bike trails. This property is well presented and has been consistently maintained by its current owner. 4 Bedroom Country Cottage approx. 15 minute to town, Main bedroom has walk in robe and ensuite. Kitchen with Electric and Gas cooking, Lounge/Dining room with Air Conditioner and Wood Heater, Family Room. Fully fenced large block complete with shed and well. THIS 1 BEDROOM HOME + STUDIO WITH ENSUITE, FEATURES OPEN PLAN KITCHEN/DINING/LOUNGE ROOM,THE KITCHEN COMES WITH PLENTY OF CUPBOARD SPACE, ELECTRIC WALL OVEN, GAS COOK TOP AND DISHWASHER, THE HOME HAS A WOOD HEATER FOR WINTER AND CEILING FANS FOR THE SUMMER MONTHS, IT HAS A SEPARATE BATHROOM, TOILET AND LAUNDRY AND HAS A VERANDAH ON 3 SIDES. THERE ARE ESTABLISHED FRUIT TREES ON THE PROPERTY AS WELL AS A LARGE CHOOK PEN. Very neat fully furnished home in Applethorpe. This home has 2 bedrooms, eat in kitchen, separate lounge room, bathroom with separate toilet and laundry. This property is set on 83 acres with a large 4 bay shed. The home has 4 bedrooms with built in's + an office, well appointed kitchen with gas cooking, separate lounge with reverse cycle air conditioner, 2 bathrooms, ensuite has spa bath and heated towel racks. Solar power connected at the property.